Details: Disclaimer, Cancellation Policy, Etc. Intuitive — Your guides are always trying to help you; our intuitive practitioners will teach you how to listen. For more information on our intuitive and psychic readings/guidance go to IntuitiveMaui.com! You are welcome to as many or as few of these sessions as you desire. We encourage you to plan on movement at least every other day during your retreat, whether on your own or guided by our expert practitioners. Our sessions generally run between $195-350 a session depending on topic, length of time and the practitioner. Receive direct guidance from your own guides and discover what it is you need to know. Our practitioner can access a council of guides, (hers and your own) and deliver their message to you to assist you in making sense of whatever is happening in your life and to make new choices if needed. Remove the veils between you and your guardians! Our practitioner follows the reading with energy work to clear any obstacles you may have that cause you to get stuck, assisting you in fully stepping forward on your own Heart Path with greater clarity and insight. The Akashic Records hold the archive of each soul as it has existed from lifetime to lifetime as different human beings on the earth plane while evolving throughout time and space. The Akashic Records are both the perfect soul-level blueprint and the catalogue of experience of an individual soul as it grows into awareness of itself as a spiritual being, Divine in nature and manifesting in the physical earth arena. The Akasha is organized in a way that allows us humans to interact with this spiritual resource and gain insight, guidance, and understanding within earthly time and space. Through them we can derive understanding and direction as we open up within ourselves on our journey to becoming our optimal selves in the physical world. Are you missing a loved one? Yearning for a message from the other side? This session is geared toward bringing you a message from your friends or family that have passed away. While there is no guarantee that the message will come through, (but it always has, so far! ), you will come away from this session with great relief, and a deep awareness that there is life after death. Learn the art of energy meditation to develop your own personal energy practice to ground, clear, heal, manifest and more. The art of visualization is supercharged with these techniques that open the ways for deeper communion with yourself and the world. In this process you will both receive and give yourself intuitive readings and healing, and explore many aspects of energy work, human interaction and creativity. We all have intuition and are all receiving guidance all the time. However, it is easy to dismiss as “just a thought.” This session will guide you to bypass the negativity and doubt of the ego-mind to access your inner wisdom and guidance in writing! Ask questions, get the answers in your journal directly from the source—your own soul. There is a tug on many souls of the world to turn to the profound and simple wisdom of Great Spirit. Feel the peace of clarity through a Sacred Path reading that will show you the door you are entering in life right now, what is being offered to you, what you need to pay attention to, how to find clarity and what is next for you… the gift. Slip in to the comfort of your own knowing and connect to spirit, explore your own person alliance with this ancient and very alive wisdom. We’ve all heard of “manifesting” but that conjures up the concept that we get to order Spirit around to follow our bidding. We have that a little backwards; our job is to learn to listen to Spirit’s bidding and follow the guidance. This unlocks the door to magical Co-creation. This session will reveal the steps. Learn how to understand the messages of your dreams! Our practitioner is a prophetic dreamer and has spent years analyzing the difference between a meaningful dream and an entertaining one. She can guide you to interpret your dreams, and learn their language! Using “Active Dreaming” and “Lightening Dreamwork” processes you will be guided to interpret and understand your spontaneous night dreams—easily, quickly and deeply! This session also uses drums to facilitate dream travel to bring back stories and intuitive guidance. Your dreams help you to solve daily challenges, give you information that you may be otherwise blocking, align with your higher soul self, help with healing and health, and enhance your creativity. A little guidance from the angels is always appreciated! Come to this session equipped with 10 handwritten questions of which you would like an intuitive exploration. 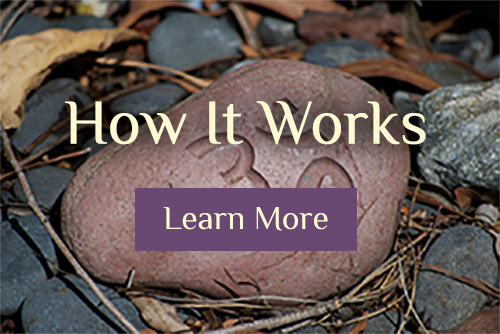 You will receive an intuitive reading, answering any questions that you may have about your life, followed by offering empowerment tools and healing techniques to add to your personal tool belt and be well prepared for your next steps. These retreats are educational in nature and are not a replacement for medical, psychological or psychiatric treatment. 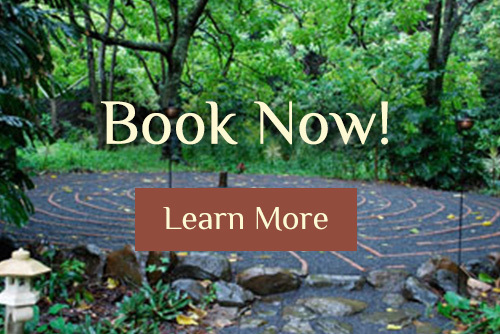 These retreats are designed to deepen your experience on Maui, and add meaning to your life. We are not psychologists or psychiatrists, nor doctors. We are educators, coaches, body workers, spiritual practitioners and certified experts in our fields. If you are experiencing neurological issues, addictions, eating disorders, have a diagnosis of a mental disorder or are suicidal, you would be better served by specialists in your community who can provide longer term care and continued maintenance. Please inform us of any extenuating circumstances so that we can best be sure your needs are met. 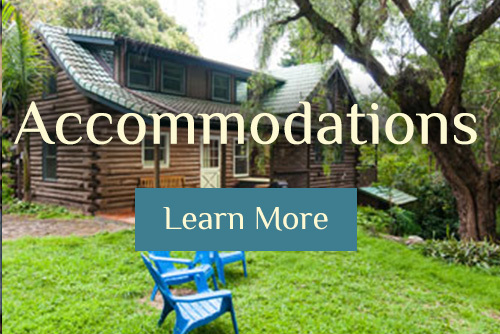 To inquire about retreats, schedule appointments or get a free consultation on what would best serve you, call (808)243-7284. Sign up for Eve's blogs, further retreat information, and a free newsletter! We promise to never sell your information, or spam you in any way!